It is important that if you find termites or suspect you have termite that you follow the steps below so that we can locate and eradicate the termite problem in the most efficient manner. DON’T DISTURB THEM leave them alone and CALL US. Don’t try to spray them or touch them. They are timid creatures and if disturbed they could seal off the lead and come up elsewhere. Rest assured we have the experience and technology to find them again. Its often advantageous to apply the baiting station exactly where the termites are. If possible, take a photo and send it straight to Stuart on 0409849452 for identification and advice. Our technician will attend your property promptly for no charge to ascertain the situation. Following termite identification, we will advise which particular treatment would be most suitable for your home, either a chemical barrier or a baiting program. 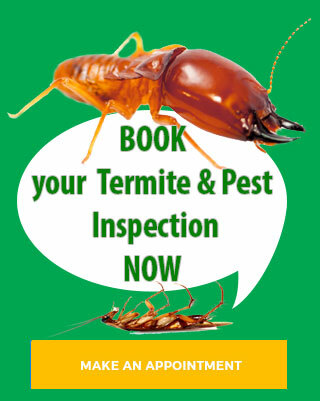 You will also be provided with a termite management proposal and quote.